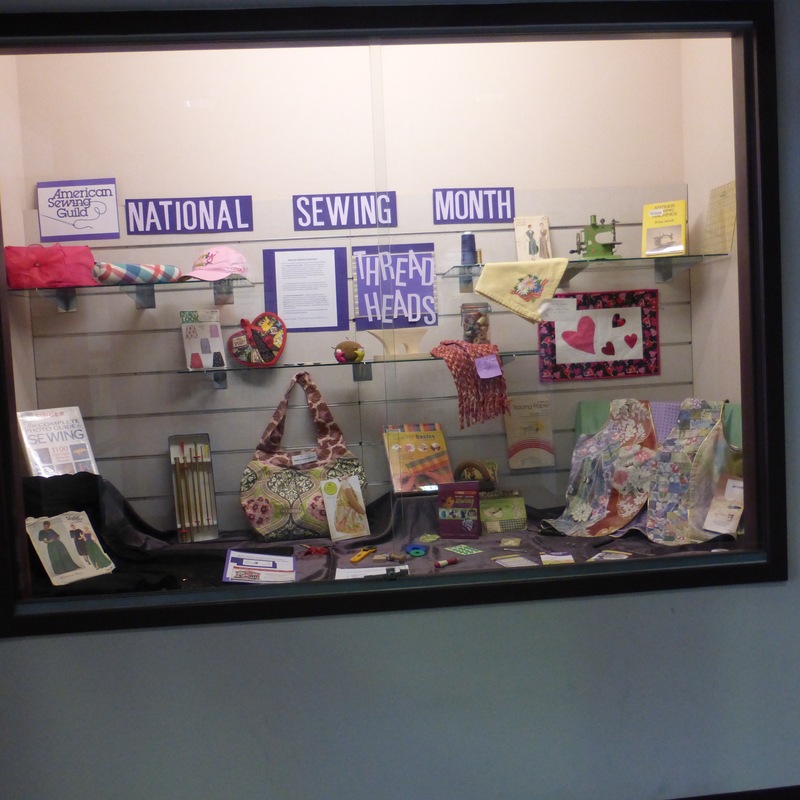 Some enterprising ASG Chicago Neighborhood Groups organized displays at their community libraries to celebrate National Sewing Month. 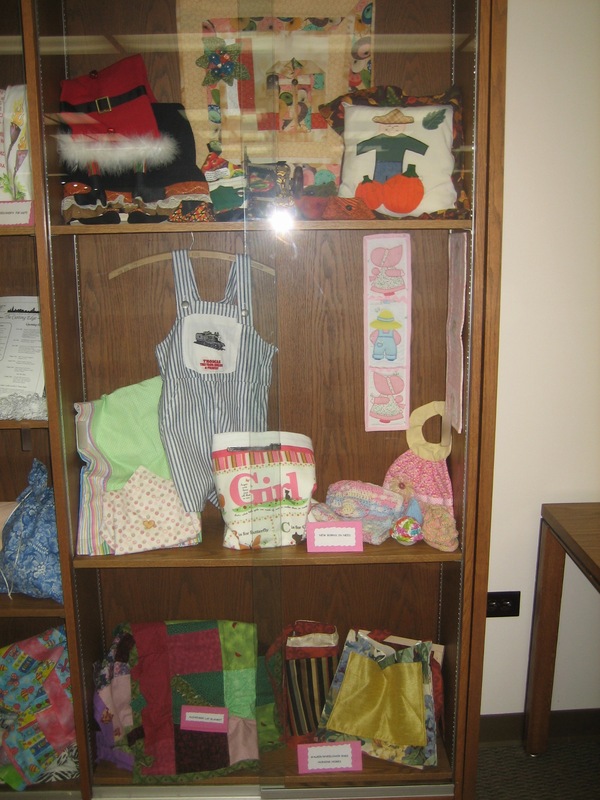 We have pictures of displays at the Oak Forest, Illinois Library, prepared by the “Bobbin Along” group and a northwest Indiana library prepared by the “Thread Heads” of Valparaiso. Don’t they look great? 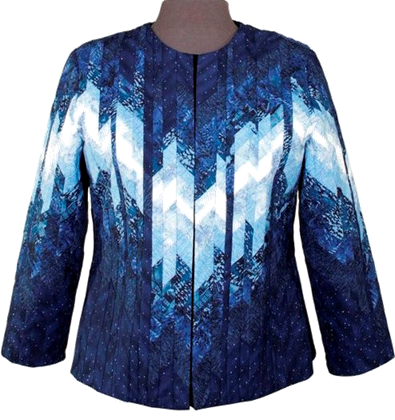 The Chicago Chapter of The American Sewing Guild presents A Traditional Bargello Jacket Workshop with Joan Derylak of Figure Flattering Quiltwear. 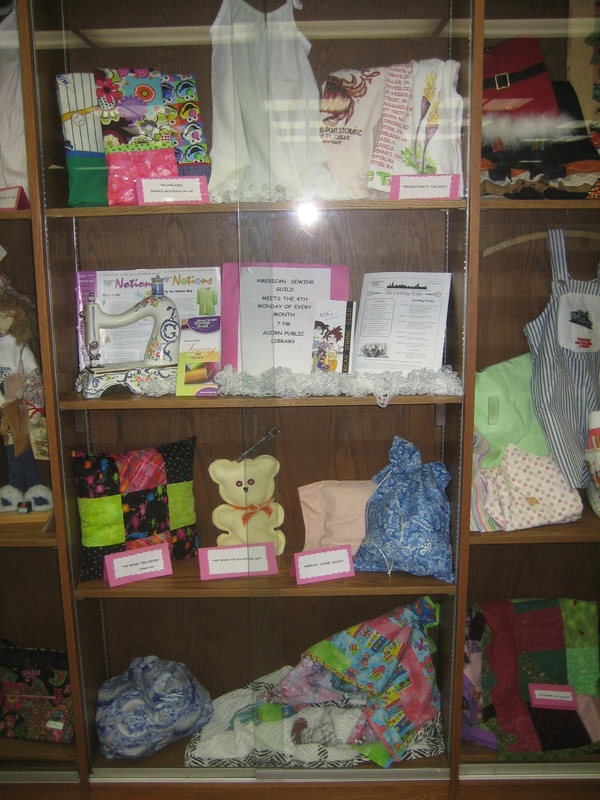 This 2 day workshop takes place Friday and Saturday, June 21-22, 2013 from 9:00 AM to 5:00 PM at Fabrics Etc, 1105 South York Road in Bensenville, Illinois. 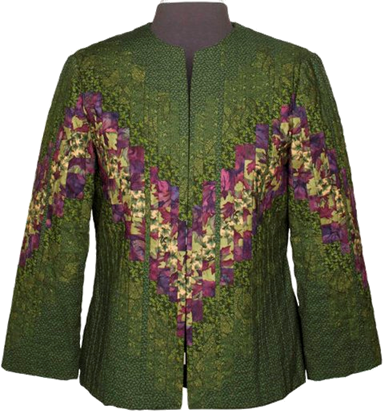 In this class students will create their own unique bargello jacket using 7 different fabrics, choosing from the Straight Bargello or Purple Garden. You supply the fabric and bring your machine, we supply the kit, which includes 4 copies of the pattern you select, lunch and snacks. We will learn the basic techniques for creating bargello with tube construction and how to use this to design for our own uniquely beautiful Figure Flattering Quiltwear. Joan loves to see the creativity and enthusiasm, when a student first puts on her garment and looks in the mirror. Most are surprised at the great fit and how the colors come together. Friday afternoon – Saturday: Students will learn the basic techniques of bargello design, and how to apply this to a garment. We will then sew, sew, sew. Lastly will be a finishing/tailoring techniques demo. Pre-class preparation required: Supply list and pre-class prep directions will be sent to you after you register. Basic sewing skills are required. Garment construction skills are helpful. The Early Bird price for ASG Members who register by May 13, 2013 is only $135, which includes lunch, beverages, snacks and multiple copies of the pattern so you won’t have to do any tracing. The non-member price is $170. Click here to register online or download a paper registration form. Don’t delay – space is limited! Workshop alert!!! Are you a quilter who feels your repertoire is limited to only cotton? Then we have just the workshop for you. 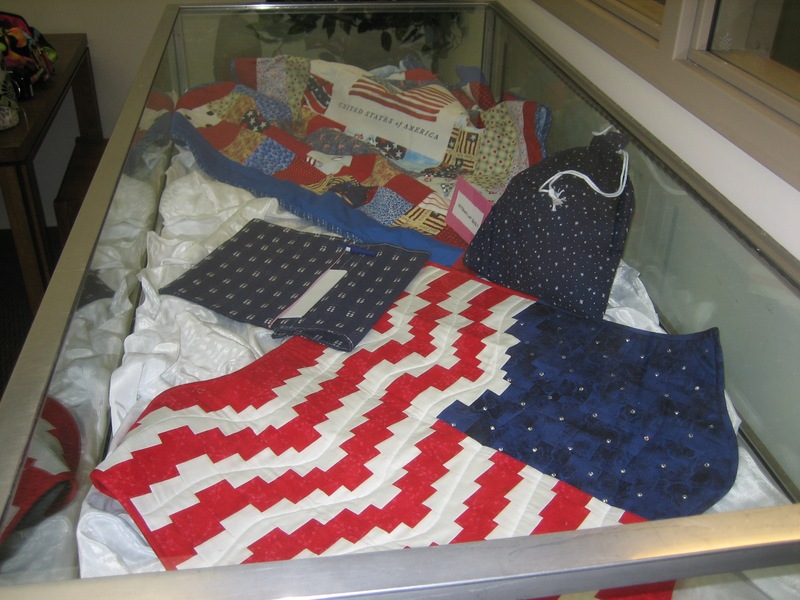 Join us for Piecing with Silks, Satins & Other Fabrics with world-renowned quilter Judy Zoeler. For one day only Judy will conduct a hands-on workshop, Saturday, March 16th at the Holiday Inn Express in Palatine, Illinois. 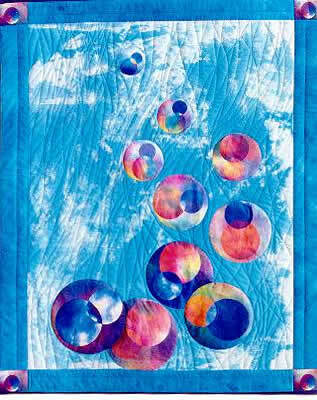 Judy will introduce 20 students to the joys of quilting with silks, satins and other fun fabrics. Using her patters and fabric kit, Judy will help students create a fan-themed quilt square and learn special techniques for working with these beautiful yet delicate fabrics. Space is limited and early bird registration is still available; $60 for American Sewing Guild members and $75 for non-members. Early bird pricing ends this Friday, February 15th. The workshop pattern, kit and lunch are included in the registration fee. To register and for more information click here. You don’t want to miss this all day workshop. 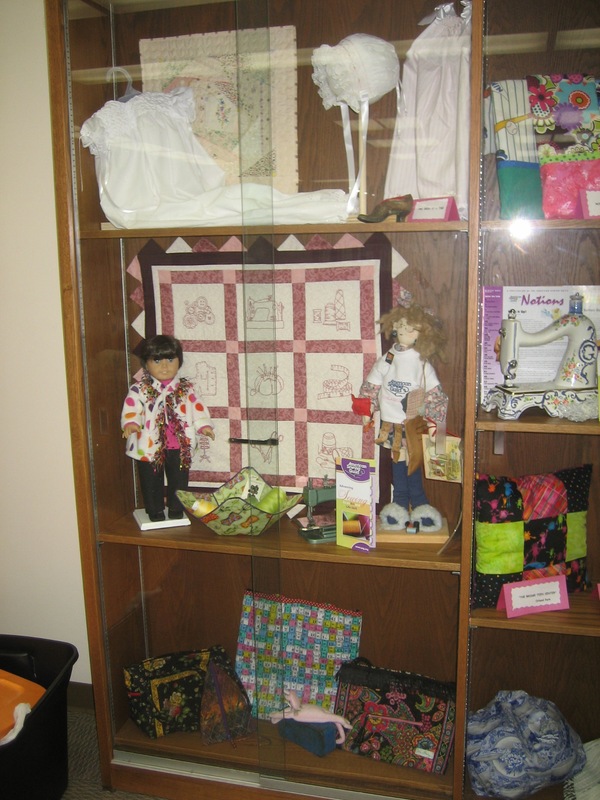 Sewing friends, quilting and good food – what more can you ask for? Hope to see you there! Jennifer showing students how to raise the rise of their jeans. To see more photos click on the pics. 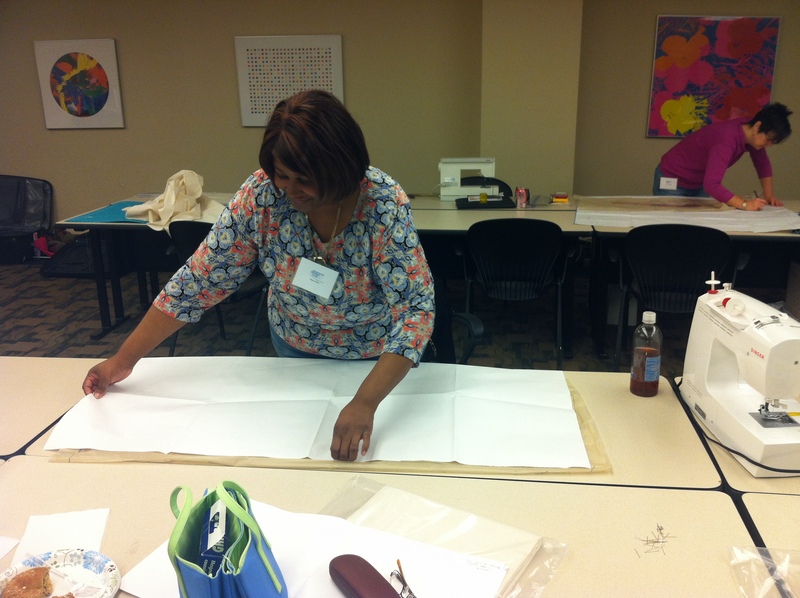 The ASG Chicago Chapter hosted Jean & Tee Fit Workshops with instructor Jennifer Stern. 35 attendees gathered for the all-day hands-on workshops held this past Saturday and Sunday. During Sunday’s workshop with Jennifer’s patterns and expertise attendees demystified the dilemma of denim to alter patterns and construct their own custom fit muslins for jean construction. On Saturday attendees created custom tees. 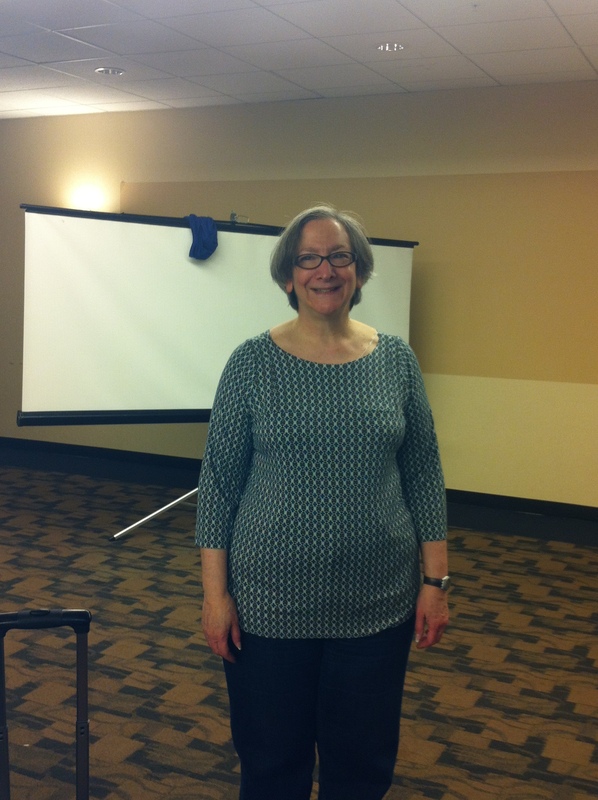 Join us for our next educational event, Piecing with Silks, Satins & Other Fun Stuff with Judy Zoelzer Levine on Saturday, March 16th at 10 AM at the Holiday Inn Express in Palatine. Early bird pricing is still available. For more information and to register click here. a. Ask what you’re talking about? b. Roll their eyes and ask why you spend your time on such things when you can buy ready-made? c. Give you a great suggestion, draw a diagram to explain it, offer to email you a link to a blog that gives a step-by-step tutorial and tell you to call them if you have any questions? If you answered c, you’re probably an active member of ASG. If you answered a or b, see what you’re missing! When I finish a project (a pretty rare occurrence for someone suffering from Paralyzing Perfectionism), there is nothing like the feeling of showing it to my sewing friends, who appreciate all the work that went into it. When I’m stuck on something I just can’t get right (see the reference to Paralyzing Perfectionism above! ), I know I can count on my sewing friends to come up with helpful suggestions, offer encouragement and, yes, even suggest ways to turn mistakes into design details. 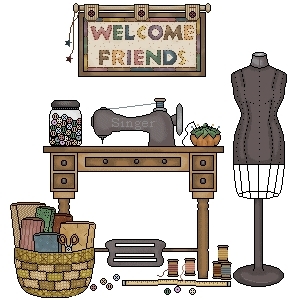 Where did I get all those great sewing friends? Do you have to ask? Walking into a an ASG Neighborhood Group meeting or Chicago Chapter event is always a treat. We come together as a community. We inspire one another. We learn together. We share our knowledge freely. We encourage one another. We enable our mutual obsession. We reassure one another that there are worse fabriholics out there, or someone else has more UFOs (white lies are absolutely acceptable). We speak a common language. And many of us become lifelong friends. In almost any given week, at least three ASG Chicago Neighborhood Group meetings are held in and around Chicago. Each of these groups has its own unique personality. 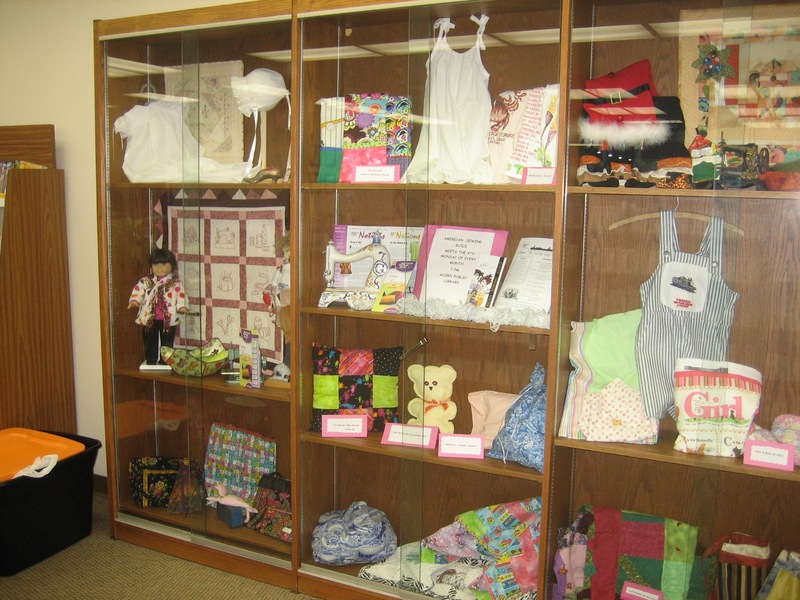 Each is a sewing circle that welcomes newcomers and long-time members; those who quilt; those who sew home dec and crafts; those who sew garments; and those who think about sewing more than they actually sew. If you are already a member of ASG, you are not limited to any one Neighborhood Group. If you are thinking about joining, you are welcome to attend two Neighborhood Group meetings as a guest before joining. For the most part, sewing is a solitary pursuit. 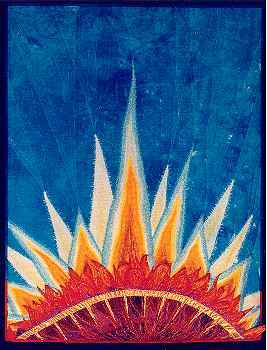 For those of us who participate in ASG, that solitude is balanced with a strong communal experience and unbreakable ties to others who share the same passion. I look forward to strengthening those ties in the coming year (and, yes, to overcoming the Paralyzing Perfectionism long enough to complete a few sewing projects).